Are you familiar with Moodie Music? If not, this is the right time for you to have an idea about his music. Most music of Moodie comes with lover’s reggae, dub reggae, dub, roots reggae and reggae. Moodie is considered as one of the well known and professional prolific British DJ and producer as well as record shop owner. In line with this, Moodie is also recognized as the 1st British born artist to find acceptance and record in Jamaica. Moreover, Moodie is also the first reggae promoters online who start the Moodie Music website in the early 90s. One of the best hit of Moodie is the “Reggae on the Moon” wherein this is his inspiration for the police. Furthermore, the “Walking on the Moon” obtain numerous dub, roots and lovers rock albums through his own label which is “Moodie Music”. Moodie started to sing when he begin to join amateurs in school at the age of 12. When he reaches the age of 14, he began to DJ for the local sound system Fatman Hi-Fi. In the year 1971, Moodie was already performing his own style of DJ with band in pub and at the same time he is also a permanent DJ for Fatman Hi-Fi. At the age of 16, this is the time that his professional recording career started for Fatman Hi-Fi. Fatman is the producer of Moodie. During this time, Moodie is also taking his guitar lessons. When Moodie reaches the age of 19, his career as Producer is already started and this is also the time where he produce his own records together with his friends namely Errol Dunkley and Donald Duffus. In the year 1976, he is already performing different shows together with his Black Slate Moodie dub album and the band. 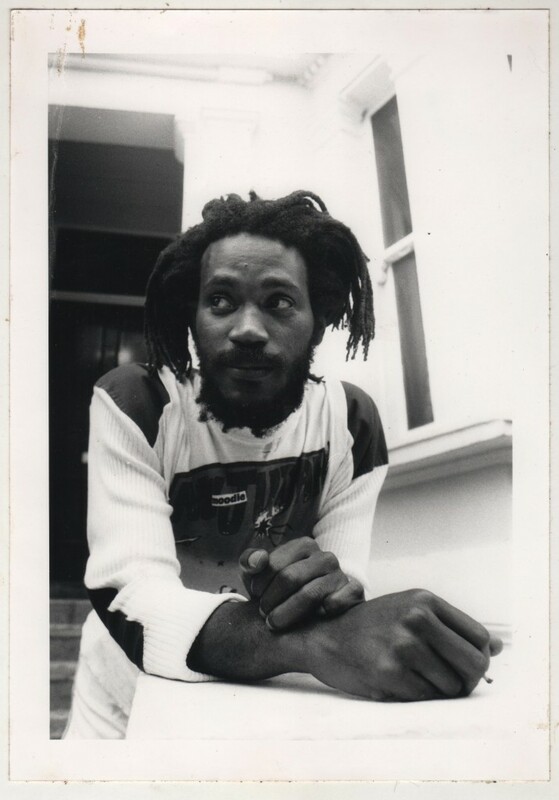 In the year 1977, this is the time where Moodie started to appear alongside the reggae artists and stared to play a kind of music that can be linked to Luba music. When you hear the term “Luba Music”, what is the first thing that comes into your mind? It is a kind of music that is usually play in the Congo in praise of the Almighty. During this time, there is one thing that comes into the mind of Moodie and that is to mix Nyahbingi with the latest reggae during those times. In the year 1977, Moodie continue to mix the sound and this is also the year where Moodie produce various artists such as Kenrick Rowe, Barry Isaac, Eli Emanuel, Winston Fergus and Errol Dunkley. In the year 1978, Moodie became the 1st artist to be grown abroad from Jamaica and at the same time produce excellent album in Jamaica. While he is staying in Jamaica, he had a great chance to work with Joe Gibbs, Errol T, Michael Campbell, Channel One, Soul Syndicate, Gregory Isaacs and other well known artists in the music industry. In line with this, Miles Copeland is the one who offer Moodie a tour with the Police who were also on their weekly salary from Faulty Records Police. According to William Krasolvsky which is the author of Business of Music and at the same time the legal representative of Duke Ellingtons, it is too costly and undesirable to make a legal issue for the Stings version of Moodie’s “Reggae on the moon” as ‘Walking on the moon”. Moodie is also the 1st artist to release and produce an album at the age of 22, When Moodie released his 1st album, it is entitled “Many Moods of Moodie”. In the year 1982, this is the time where Moodie recorded his 1st singing album which is called “OAU/Trench Town Rock”. During the year 1983, Moodie travelled in different parts of the world especially in European cities just to promote his album. In the year 1984, Moodie started to plan for Amen Rastafari Festival. This is the first festival that is being held in London Park and lasted for 7 days in the year 1985. In the late 1985, Moodie decided to return in Jamaica and spend 6 months within the place of Jamaica. In the earlier 1986, Moodie decided to visit the country of New York with his cousin Paul who is also linked to the music industry. During the year 1991, Moodie open his 1st retail shop at Camden Lock market. His Physical attraction album was being recorded in the year 1992. In the year 1994, the music operation of Moodie was being relocated to Tottenham. This is the time where there are a wide variety of albums that are being released on his Moodie Music label. During the year 1996, Moodie started to release singles on 7” vinyl. Moodie continued to manage his record label until 90s. Moodie also decided to build the 1st website that is creatively designed and developed for reggae music in the UK. Moodie is recently working on his latest album for 2001 together with Fluxy and Mafia. Moodie also appeared on BBC broadcast Windrush. The series traced the influence and emergence on British society especially on the West Indian population. In connection with this, Moodie also appeared in Sinead O’ Conor’s video in the year 2000. During the year 2001 Moodie decided to pursue his acting career and this is one of the reasons why he decided to appear in various TV drama and commercials. During the year 2002, Moodie completed his 1st studio album and his album will be released in the year 2003 on the Reggae on top label. Moodie is recently working on different remix project with various new remix specialist and producers. It is a fact that Moodie can be one of the greatest inspirations of most people who truly love reggae music. In the recent year, reggae music is recognized as one of the well known kind of music that is being performed by legend artists and singers in different parts of the world. If you want to know more about Moodie Music, all you have to do is to visit this http://www.cdbaby.com/Artist/Moodie and at the same time listen to his various music that is well known all over the globe.